A excellent isometric shooter game. The player controlling a spaceship through futuristic and claustrophobics space corridors, while fighting on endless battles against swarms of assorted enemies and powerful giant mechanical bosses. 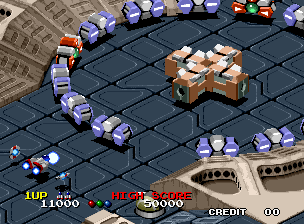 You will have at your disposal a main weapon consisting a pulse laser which can be charged up for increased damage and three bombs: one that can make a wave of fire that starts from behind the player's ship and scrolls "up" the screen, another that makes a powerful circular nova-like blast, and one that shoots several mini-missiles capable of homing in on multiple targets. The game has 6 great stages in total. Released in October 1992. 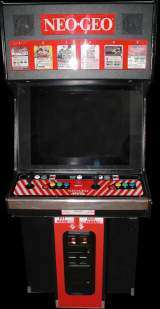 This is Sammy's only game developed and released for the SNK Neo-Geo MVS hardware. Viewpoint was awarded both Best Graphics and Best Music in a Cartridge Game in Electronic Gaming Monthly's 1992 video game awards. The "One, Two, Three, Four, Hit It!" opening sound cue was sampled from the Kurtis Blow song "AJ Scratch" which appears on the 1984 Kurtis Blow album "Ego Trip". 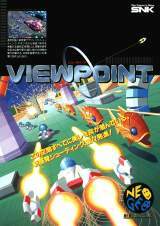 Pony Canyon / Scitron released a limited-edition soundtrack album for this game (Viewpoint - PCCB-00112) on 19/02/1993. Sound : Sizla, Masaki Kase, Megumi M.